T.B. Joshua has given a "prophetic warning" to the Nigerian government concerning the handling of "inconclusive elections" in the nation. 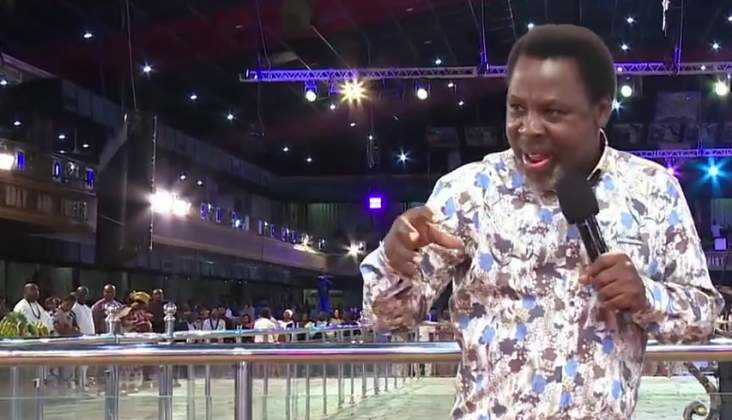 "The (Nigerian) government should be cautious of the way they go about inconclusive elections," Joshua told congregants on Sunday 17th March 2019. "This can be an open door for satan. You know satan kills, steals and destroys," he continued, calling for urgent prayers for the nation. "Pray for the nation, Nigeria - for peace and harmony, for understanding and wisdom," said the cleric, leading his congregation at The Synagogue, Church Of All Nations (SCOAN) in prayer. Supplementary elections are currently being held Kano, Sokoto, Plateau, Benue, Bauchi and Adamawa - with unfortunate reports of violence and voter intimidation, especially in Kano - corroborating the urgency of the prophet's warning.